We attribute Brookvale Mazda’s success to the importance we place on building and maintaining strong relationships with our customers and the local community. Below we acknowledge the wonderful people and organisations of the Northern Beaches and Sydney Region that are apart of the Brookvale Mazda family. Affectionately known as “Beaver,” Manly legend Steve Menzies was born and raised on the Northern Beaches. A barnstorming backrower and utility, Beaver amassed a two decade, 350 NRL game career for his beloved Manly Eagles and was recognised for his uncanny yet prolific try scoring ability. At club, Origin, (28 caps) and at International levels (13 caps), Steve, a back rower, scored at an iconic rate of a try in every 2 games he played, a tally only second to the Melbourne Storm’s Billy Slater. After a fairytale finish to his Manly career in 2008, whereby Steve scored his final try for the club during the grand final they would go on to win, Steve continued plying his trade in the English Super League, first with the Bradford Bulls and later with the Catalan Dragons. Forever a hero in Manly and an legend of the game, Brookvale Mazda is proud to have Steve as part of the family in 2018! 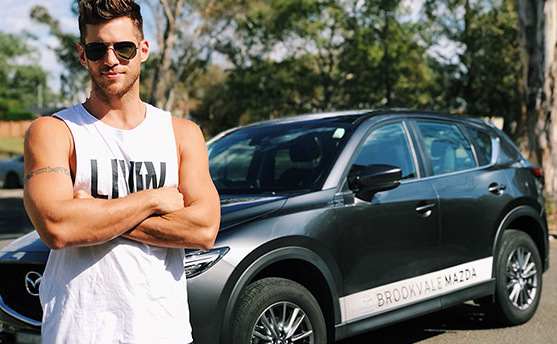 One of Australia’s rising stars in the entertainment industry, Daniel Ewing is a proud addition to the Brookvale Mazda ambassador family. Born and raised in the Northern Beaches, Dan sharpened his acting chops performing throughout productions on the North Shore and trained under accredited teachers, becoming a formidable actor in his own right. Landing starring roles in Australia’s much beloved television show Home and Away, Ewing quickly became a recognisable face and one to watch. 2018 has already seen him land major roles alongside the likes of Australian sweetheart. Jessica Tovey and New Zealand export Temuera Morrison. 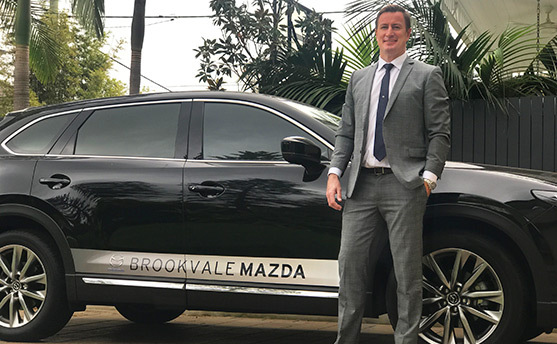 From North Shore local to beloved national star, we are immensely proud to have Daniel Ewing as a part of our Brookvale Mazda ambassador family. Jason and Beck are part of the fantastic team of guest presenters on Sydney Weekender and have shown viewers some of the best travel destinations in Sydney. From fine dining to great scenic getaways, the couple have proven to be superb guides, especially when it comes to exploring Sydney.